The Big Question: Will Centre Back Section 377 IPC Or Support Striking It Down? 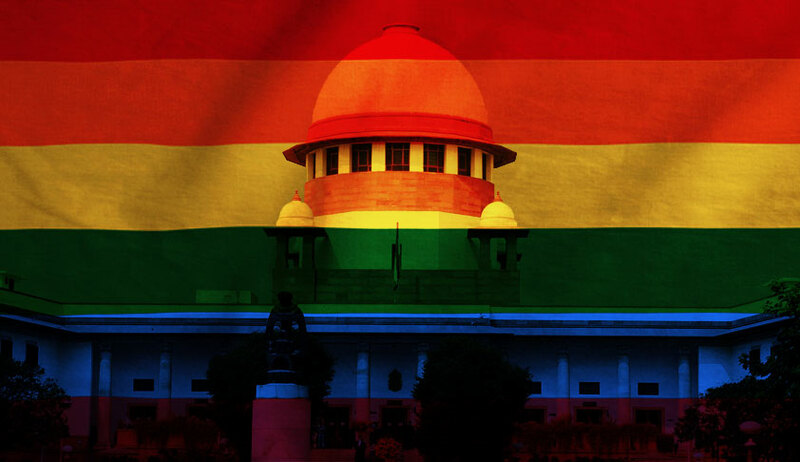 As a five-Judge Constitution Bench of the Supreme Court began hearing the challenge to the constitutionality of Section 377 of the Indian Penal Code on Tuesday, all eyes are set on the Centre as the side it is on still remains shrouded in mystery. While the Bhartiya Janta Party has so far not taken any official stand on the issue in the Court, the party had used its “brute majority” to defeat Congress MP Dr. Shashi Tharoor’s second attempt in three months in 2016 to introduce a private member’s Bill to decriminalise homosexuality. A few months down the line, then Law Minister DV Sadananda Gowda also seemed to have taken a progressive stand, saying, “The mood appears to be in favour of it [scrapping section 377]. But it can be done only after widespread consultations and taking all views into account.” He, however, soon retracted from the statement, claiming that he was mis-quoted. The latest to join the list of BJP MPs rallying in favour of the law is BJP MP Subramanian Swamy, who on Tuesday said that being homosexual is "not normal", is "against Hindutva", and needs "medical research to see if it can be cured", reported news agency ANI. Speaking of Hindutva, the Rashtriya Swayamsevak Sangh (RSS) had, in 2016, adopted a softened stand on the issue, in a significant shift from the Sangh's conservative views on sexuality. RSS Joint General Secretary Dattatreya Hosabale had in fact reportedly asserted that sexual preference is not a crime as long as it does not impinge on the lives of others. The change in stance by BJP's ideological mentor had sparked hopes of the Government favouring a change in the current legislative position. Nevertheless, the most indicative statement made about the Centre’s possible stand has been Attorney General KK Venugopal’s, who on Tuesday said that he would not appear for the Centre in the case. He reportedly reasoned that he had earlier appeared in the curative petition filed against the 2013 Supreme Court decision but the Centre is taking a different stand now, necessitating his withdrawal. Interestingly, two Attorney Generals before him have also, in the past, refused to defend the law. Back in 2012, then Attorney General of India Goolam Vahanvati had famously said that his “conscience would not permit him to do so”. He had gone on to assist the court independently as the amicus curiae. Mr. Rohatgi, while being appointed by the BJP Government, had also openly favoured decriminalisation of homosexuality. In fact, Mr. Rohatgi had lent his approval to a petition certifying that the 2012 Supreme Court verdict was a fit case for re-assessment through a review petition. He is now representing Navtej Jauhar, one of the petitioners challenging the constitutional validity of Section 377. An interesting bit of courtroom exchange on Tuesday also sheds some light on the Centre’s possible stand. During the hearing, when Mr. Rohatgi emphasised on the fact that the Centre had never challenged the Delhi High Court’s 2009 verdict partially striking down Section 377, Additional Solicitor General Tushar Mehta interrupted, asserting that the Centre was yet to take a stand on the current batch of petitions. Nevertheless, it is not long before the Centre’s stand would be revealed, and with it, its choice of the side of history it wants to be a part of.